Running on the slogan “Getting Results that Matter,” Commissioner Peter Weldon is seeking a second term on the City Commission. First elected in 2016, Weldon ran on a property rights oriented platform that promised to repeal the then-newly-passed Historic Preservation Ordinance. Immediately following his election, Weldon successfully accomplished that goal. His 2019 campaign points to the many positive things that have transpired in the City since 2016. The race for Seat #4 recently heated up as a third candidate, Barbara Chandler, threw her hat into the ring to challenge incumbent Commissioner Peter Weldon and candidate Todd Weaver. Chandler is Manager of the Hannibal Square Heritage Center. According to her website, Chandler is running on a “Families First” platform, vowing to keep Winter Park Family-Friendly. Chandler has not responded to WP Voice requests for information as of this writing, but any information she chooses to provide will be included in an updated version of this article. If none of the candidates for Commission Seat #4 receives a majority of the vote in the March 12 general election — that means 50 percent plus one vote – that will trigger a runoff election between the two candidates who received the most votes. A runoff election, if necessary, will be held April 9.
values. Isn’t transparency and more information a good thing? Weldon is a proponent of historic preservation. He just wants the individual homeowners to choose that route, not have it chosen for them through a vote of their neighbors, the threshold of which the HPB wanted to lower. Pete has been a champion of a recent HP on the west side and HP in general. I hope I have these details right. Hey ya’ll, if you’re going to respond, how about with your real names! Transparency is so fabulous! Take that brave step. It’s better for WP. I don’t see a problem with responding anonymously, unless you defame people or write flat out lies. In which case, the editor likely would never allow it to be posted. Part of our political nightmare today is many pick a team and tow the party line (religiously) rather than think for themselves. What would knowing who wrote something add to their submission/opinion….other than possibly knowing which “team” they are on? I can see if you live by the old adage “keep your friends close and your enemies even closer” that information might be kind of useful though. Otherwise, not so much. I actually wish ALL submissions were anonymous so people are forced to read the CONTENT and make their own determination. Rather than for example, not even considering what a known developer buddy or friend of the library has to say—- just because they aren’t on your “team”. Heck, they just might be making a valid point you would agree with! I am a feral cat living in Winter Park. I am a resident here the same as you are. And I probably know the town better, because I’m out and about more. Some of us don’t have names so we post anonymously. But that doesn’t make your opinion any better than mine. Last night it was 42 degrees so my paws are still thawing out so sorry I can’t write much. Please don’t discriminate against us because we don’t have names. We are Winter Park residents too! It goes without saying that there’s a lot of time between January and March, and even more time between January and April. Regardless of which candidate a resident may support, this will be the most interesting City Commission campaign that most readers of The Voice can remember. The results may surprise people. 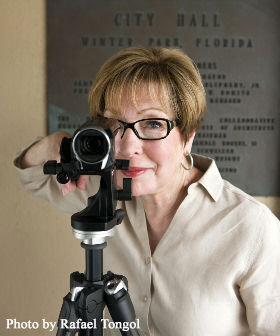 The way elections are decided in Winter Park has changed over the years. For those who have noticed, the outcome may not be as much of a shock as it could be for those who believe elections still work the same here as they did in the old days. Are you talking about April because that is when the donation records finally become public record for all the late money pouring into the race from those who would rather remain unknown while it could still hurt the incumbent? Why not vote for a man who can speak on his own behalf for a change? ?? How about you speak for yourself instead of hiding behind a stupid anonymous name? Ridiculous and emblematic of this one note website commented on by several very vocal size large cowards who delight in flame throwing. What’s the deal? Too chicken to put your name on your words? Do you even live in WP? Just curious. I know you’ll get your big boy pants on soon and fill us all in on the particulars…. Right? I have been amazingly impressed with Todd Weaver and his understanding of the issues in Winter Park. I truly believe he loves this city. What a powerful endorsement… But from an anoymous poster? What is the deal with the posters on this website? Why so frightened to identify yourselves? Its ongoing satire you are all seem blind to. Thank you; my neighbors and I agree and are voting for him too. Your civil tone reflects his dignified, gracious and well-mannered demeanor and bearing. We like the people who support him as well as Todd Weaver. We believe they truly love Winter Park too. Was gladdened to see signs for him on Via Tuscany today. He has much of the support of the neighborhood around Winter Park High School. I’m trying to figure out what Pete means by “getting results that matter”. Are those ‘results” the multiple ethics violations he has filed against women, or maybe it’s his disparaging comments to West Side residents? A few years ago a matriarch leader of the West side tried to historically designate her house. Pete’s inappropriate behavior towards her was pretty shocking. He behaves similarly to many women. Results that matter are the agendas of the handful of high-powered developers who are exploiting Winter Park’s charm and historic quality to cash in. He’s supposed to represent all of us, but he does not. His his inability to listen and build consensus, but instead argue with residents, proves he isn’t fit to serve. Todd Weaver will make an excellent Commissioner and it’s high time for new leadership! Hands down he is the most qualified both professionally and personally. He is a problem solver and will seek common sense solutions. Winter Park is a great place to live and we deserve the best talent from our community. Thanks to all for running. Maybe she just needs a time out. I wonder how the State is going to appreciate her little tantrum in response to their authority. How her fellow commissioners can allow her, not once, but repeatedly, time after time, and over and over again, to routinely violate their rules of civility and decorum with her bizarre outbursts, I do not know. The mayor and two commissioners need to take an introductory course in the relationships between municipal and state law, and maybe an intro to environmental stewardship (trees and water). I received a flyer in the mail from candidate Pete Weldon that listed his “results” during his one term in office. What he neglected to mention were his votes to approve the increasingly unpopular new library and events center project – minus the parking structure stated in the referendum. I also learned from the flyer that Mr. Weldon served on the Tree Preservation Board. Why didn’t he support an effort to save some mature oak trees that were cut down at MLK, Jr. Park last week? And now 60 more trees will soon be cut down. Will he support efforts to save any of them? Perhaps he can answer these questions in the upcoming debates. You may want to check the record. I believe you’re incorrect. The vote was in 2015. Pete was elected in 2016. Weldon certainly did vote to approve the library. While the vote on the bond referendum was in 2015, the vote on the conditional use approval for the project was held just recently. Without final cost numbers for the project, Peter Weldon voted to grant the conditional use approval which = GREEN LIGHT. Without this the library project could not move ahead.